“There is no quick way to teach investing,” says Eiichiro Kuwana, regarding investment education. 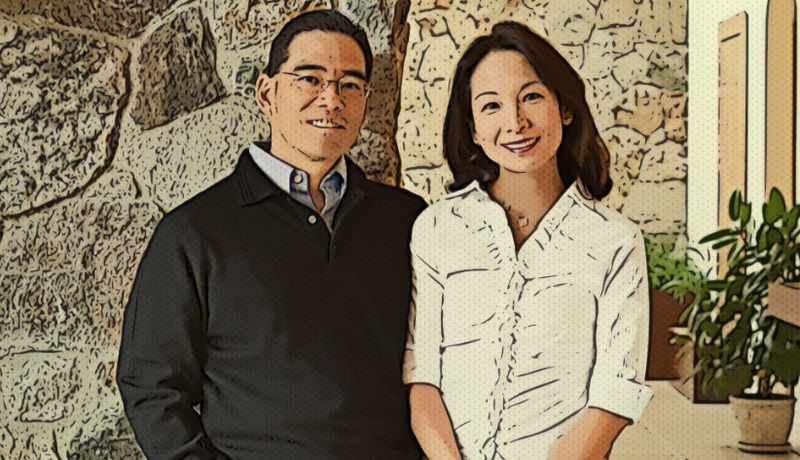 Eiichiro, or Eiich (like “H”), is a co-founder and the President of Cook Pine Capital LLC, an investment advisory firm based in Greenwich, CT. I have known Eiich for more than 12 years. He hired me as an analyst for Cook Pine Capital in 2006 and then cultivated me into a better investor. Not only does Eiich manage money for wealthy families globally, he also serves as a member of Phillips Exeter Academy’s investment committee, which is responsible for investing the school’s endowment. Exeter is one of the oldest secondary schools in the United States with a long heritage going back to 1781. The school’s founding charter mandates that it would “ever be equally open to youth of requisite qualifications from every quarter”. Having been thus indoctrinated, it is not surprising that Eiich firmly believes in fair opportunities and independent thinking. Exeter has an endowment fund with a total of $1.3 billion, one of the largest among secondary schools in the world (as of June 2018). The endowment covers more than 50% of the school’s annual operating budget, while net tuition less than 30%. Over the last 20 years, Exeter’s endowment fund has generated 8.7% return on investments vs. MSCI ACWI’s 5.9% so that $100 invested in the endowment fund is now worth $530, while the same amount invested in the MSCI ACWI index is only $315. Exeter’s endowment fund has also outperformed other endowments (CA E&F Median) with a significant margin over the last 20 years. The existence of the large endowment fund and generous financial support allow the school to accomplish its mission of providing high quality education for everyone with intellectual qualification. “Investor Z” is a popular Japanese comic book series, featuring Takashi Zaizen, who is a wonder kid investor and a member of a secret investment club responsible for managing the endowment fund of Dojuku Gakuen, a fictional private secondary school. Investor Z sold very well in Japan (more than 1 million copies since 2013). After graduating from Harvard Business School, Eiich joined Goldman Sachs in August 1992 and was sent to the Tokyo office in 1993. The real estate bubble had already burst in 1990, but a new Internet bubble was emerging (although it would subsequently burst in 2000). Eiich’s mission then was to build and expand its private wealth management division in Japan. In 1993, according to Forbes, Japanese billionaires held at least 14% of the world’s total wealth. 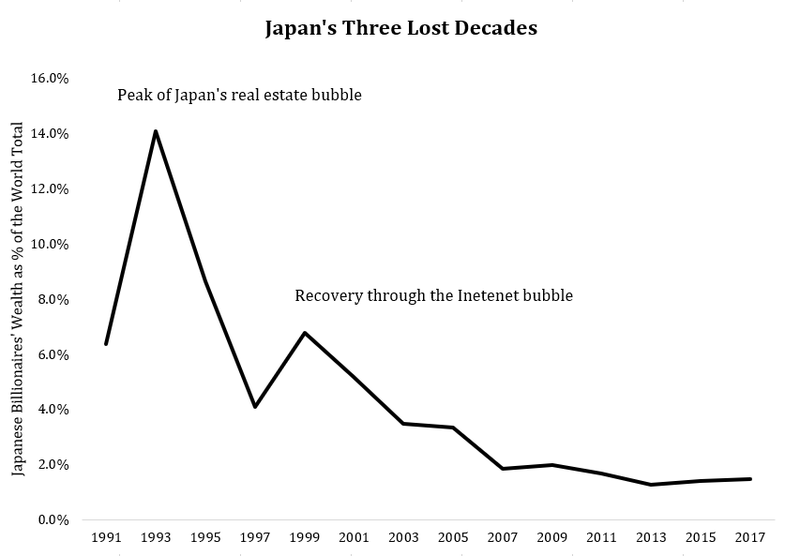 However, their net worth suffered with the decline of Japanese real estate market so that their share dropped to 4% in 1997. Then riding on the Internet bubble, the Japanese private wealth recovered somewhat to 7% in 2000 — the year when Masayoshi Son, founder of Softbank, ranked №8 in the world with $19.4 billion (today №39 with $22.7 billion). Waning Japanese wealth notwithstanding, Eiich did well and became the head of private wealth management of Goldman Sachs, Japan; and after more than 12 years at Goldman Sachs, Eiich left and started Cook Pine Capital in 2004. Goldman Sachs is long on the artificial intelligence. In 2000, Goldman Sachs employed more than 600 traders for the U.S. cash equities trading in New York. Today, it has only two with machines doing the rest. Yet, at the same time, they hired more than 200 computer engineers. This year, Goldman Sachs also said that almost half of the 127 tasks for an IPO can be done by algorithms. The skill sets needed to become successful in finance have changed and are changing rapidly. “It sounds contradictory, but you have to study liberal arts like philosophy, fine arts and even psychology, if you want to be successful at investing,” Eiich emphasized. “While these studies appear unrelated to money making, a holistic approach to learning is more important. There is always more than one answer. You must be able to imagine the unimaginable. Can we teach such a skill? I don’t know, but that is what is needed for the next generation.” In addition, Eiich also thinks that it is important to balance listening and speaking; American education system tends to encourage speaking, while Asian system listening. Exeter’s unique “Harkness” method is “not a pedagogy. It’s a way of life. It begins in the classroom and extends beyond it, to field, stage and common room. It’s about collaboration and respect, where every voice carries equal weight, even when you don’t agree.” The method was established in 1930 with a gift from Edward Harkness, a man who believed learning should be a democratic affair. Under the Harkness method, twelve students and one teacher sit around an oval table and discuss the subject at hand. However, at Exeter, a teacher is not supposed to lecture or dominate; he or she only facilitates discussion among students. Once you are at the Harkness table, it is not about being right or wrong; instead, students learn from each other and participate in “revolutionary” discussion. Unlike the Socratic method, which tends to be a one-on-one conversation between a teacher and a student, the Harkness method is a collaborative way of teaching and learning. Students are encouraged to be different and disagree in a respectful manner. “At Exeter, you not only have to have your own opinions but also accept different opinions,” recalls Eiich. He believes that this is the way investment education should be. 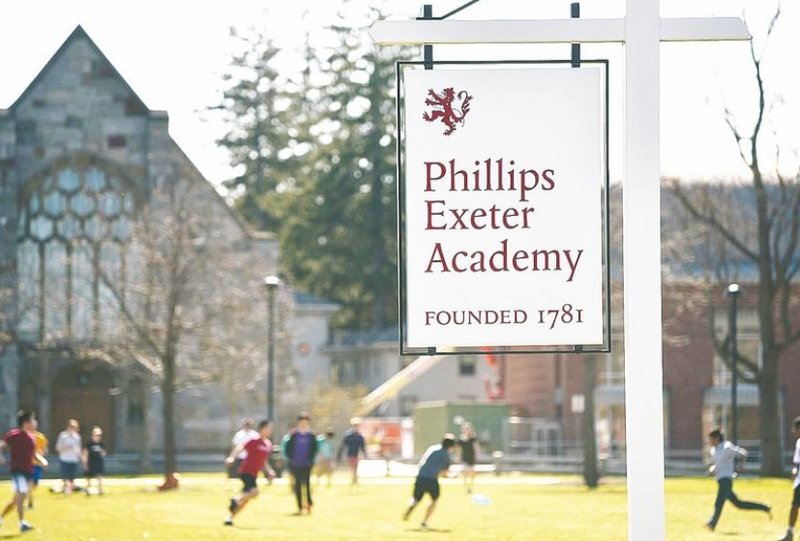 You can read more about Exeter’s Harkness method here:https://www.exeter.edu/exeter-difference/how-youll-learn andhttps://www.businessinsider.com/phillips-exeter-harkness-table-2014-11. How about for investment education for wealthy families? “It’s actually different for those families. I don’t know where to draw the line between wealthy and non-wealthy, but a wealthy family should have a conversation about their financial status early. As early as when the next generation is 5 years old or 15 years old? I don’t know, but it’s probably too late if the next generation is already 30 years old. By then, they already know how rich they are, and it is no longer possible to live the life of the not-so-wealthy. Wealthy families need to start discussing money with the next generation earlier than other families so it won’t be too late to learn. Quite frankly, a conversation just about money is self-defeating, and the discussion has to begin about the family’s mission. What are the beliefs of the family? What makes them tick? Are there causes about which they are passionate about? What do they think about philanthropy? Only after considering and answering these questions can a family have a holistic conversation about money and its management.” Since talk about money can be quite sensitive and frustrating, especially among family members, Eiich believes that it is best to have someone independent to lead such discussions. A proper discussion on money management is most likely to result in realization of the importance of investment education. Even then, Eiich admits, investment is still a difficult topic to teach. As a guardian of the portfolios of wealthy families and a member of the investment committee of Exeter, Eiich must think long term with eyes on the next 20 to 30 years when many of the investment processes will be taken over by artificial intelligence. Younger generations must begin early to learn investment so that they can acquire the judgement skill necessary to generate superior returns and to beat the machines in managing the unpredictable future. Yet at the same time, investment is not a topic that appeals to the teenage crowd. Hence, media such as Investor Z provides an excellent way to introduce them naturally into the world of money management. By following the development of the protagonist as an investor, the younger generation begins to see the world through the eye of an investor, and then, the family can really begin a meaningful talk on their future.